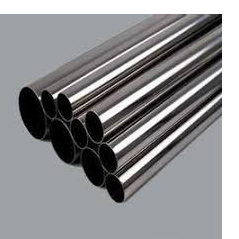 'KSEC' Fittings and Flanges are manufactured with best available and carefully selected raw-materials such as Pipes, Billets & Rounds which are procured from reputed manufacturers viz. SAIL, VSP, JINDAL, MSL, Sumitomo, Dongshin, Sammi, REMI & RATNAMANI etc. of finest & latest metallurgical standards conforming A181, A182, A234, A350, A403, A420, BS, DIN, JIS & IS. "KSEC" is presently equipped with modern manufacturing equipments and inspection tools such as Milling Machine, Lathe Machines, forging and deep drawing presses, Heating & Annealing Furnaces,machining, finishing and testing facilities. In order to maintain quality and reliability of our products, our experienced and efficient technical personnelclosely monitoring and maintaining the quality standards right from the raw-material stage to finished products.